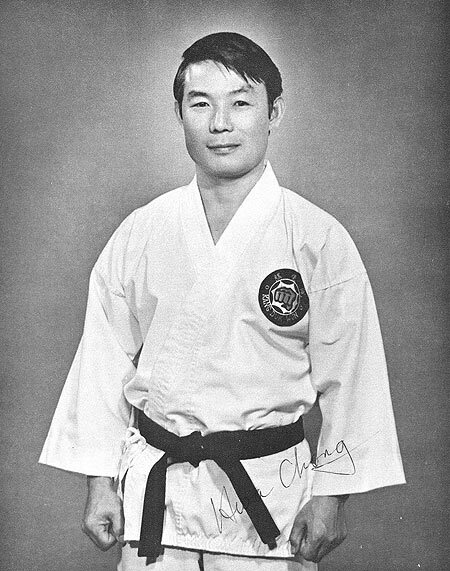 Master Chong has served as the head instructor of the University of Michigan Taekwondo Club since 1968. He is a former President of the United States Taekwondo Union, a former member of the WTF council, and has served as Head of the US National Taekwondo Team. His students have included Olympic gold medalist Lynette Love and bronze medalist Han Wan Lee. In addition to being the University of Michigan Master Instructor, Master Chong is a lecturer in the Division of Kinesiology, and teaches the Beginning Taekwondo and Advanced Taekwondo courses in the U-Move program. Master Busch is an instructor of the University of Michigan Taekwondo Club and has been involved in Taekwondo for over twenty years, starting at the University of Michigan in 1987. After serving as a club officer, he became an instructor in 1991 and served in that capacity until 2002, when he relocated to South Bend, IN. Master Busch then became an instructor at Hong's USA Taekwondo, where he taught advanced classes and sparring. His students included the University of Notre Dame Taekwondo club. Master Busch returned to the area in 2005 and resumed teaching at UM. Master Busch is a certified referee. Master Busch also assists Grand Master Chong with the U-Move courses. Alex Minghine is a 2nd Dan black belt certified by the World Taekwondo Federation. He has trained with the University of Michigan Taekwondo Club since 2010 during which time he has competed at numerous ECTC tournaments, Collegiate nationals in 2012, earned several medals. He worked his way up the ranks under and tested for his 1st dan in the summer of 2013 and his 2nd dan a year later. Alex recently graduated from the University of Michigan with a bachelors degree in Chemical Engineering. Allen Zhao is a 2nd dan black belt certified by the World Taekwondo Federation. He was raised in Hong Kong where he started Taekwondo at a young age just for kicks. Once he reached high school, he decided to take taekwondo much more seriously and trained competitively. He came to the University of Michigan as a 2nd dan and started competing for the University of Michigan, as well as occasionally leading practice and sparring sessions. Only in 2014 did he become an instructor. Allen is pursuing a bachelor degree in Computer Science and Electrical Engineering. Chetan is a second dan black belt and has been training with the University of Michigan's Club since 2011. He is currently studying electrical engineering. Omar Gates is a 2nd Dan certified by the World Taekwondo Federation. He began his Taekwondo training at the University of Michigan in early 2010, and has been teaching as an assistant instructor this past year before becoming club instructor. Omar is currently a second-year graduate student pursuing a Master of Science degree in Atmospheric Sciences.